The Vaughnsville Telephone Company has been providing services to the residents of Vaughnsville and the surrounding community since 1937. From the very beginning when customers owned their own phones, wires and poles, the focus of The Vaughnsville Telephone Company has been to provide the absolute best level of customer service possible. Unlike the large corporations, who we compete with everyday, as a member owned cooperative our focus is on service -- not on profit. Times have changed since that day in 1937 when our owners turned over their equipment to the company in exchange for a $ .50 reduction in the phone bill, and we have changed with the times. Whereas in 1937 communication primarily meant having a simple verbal conversation with another person, today communication is more about bandwidth, sharing data and digital information. 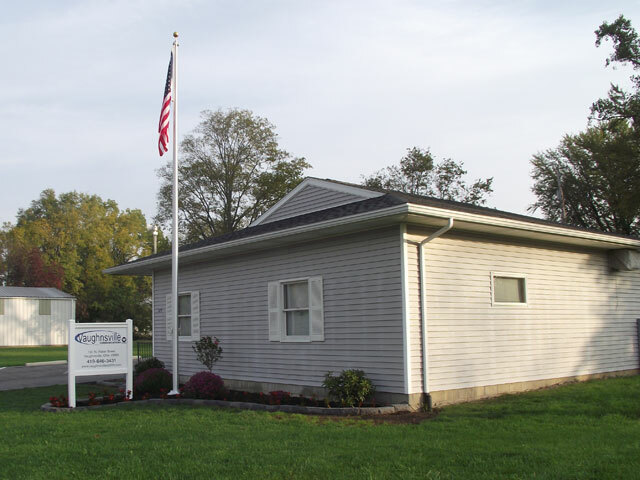 In 2008, recognizing that our name, The Vaughnsville Telephone Company was not reflective of the services we were offering, we filed with the Ohio Secretary of States office to begin doing business as Vaughnsville Communications. Today, we still offer local telephone service but have expanded our services to providing Internet and IPTV in addition to entering into a number of joint ventures with other rural communication companies to maintain the latest technology.Thanks for visiting our web site. Feel free to browse our page and please contact us or stop by our office if you have any questions. ©2013 Vaughnsville Communications. All Rights Reserved.